The Energy Market Authority (EMA) launched the Open Electricity Market (OEM) proper on November 1, 2018. As a measure to enhance the electricity market in terms of competitiveness and to encourage innovativeness, the OEM marks a progressive wave in the market. With a new market structure involving multiple retailers, consumers and operational processes, is Singapore geared up for it? 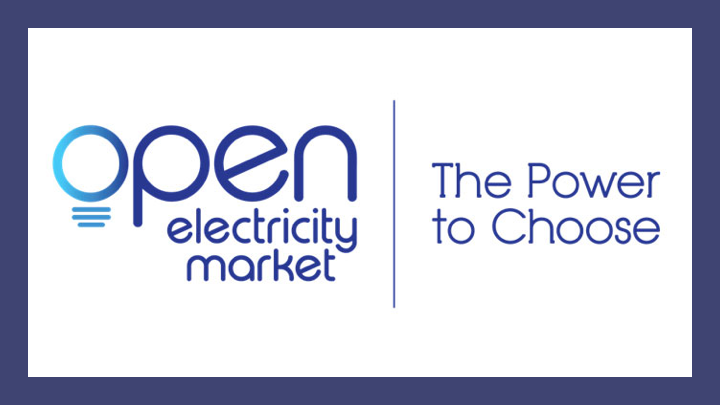 The full launch of the Open Electricity Market means that residential and business consumers have a choice in deciding who they want to purchase their electricity from, out of a current list of thirteen retailers. Before the Open Electricity Market was introduced, Singaporeans only had SP Group to rely on for their electricity supply. Each retailer provides a range of standard and non-standard price plans for consumers to choose from. After comparing different price plans, they can choose one which befits their households’ and businesses’ electricity usage pattern. Such plans are usually retailed at a cheaper rate than what SP Group provides, which is at regulated tariffs. As a new market, every retailer starts on the same foothold and is keen on gaining market share via sales and marketing tactics. The EMA has put in place measures to protect consumers from potential dishonest marketing practices by retailers. One of it is the banning of door-to-door marketing activities within residential areas. The reason given was that such activities might forward gimmicks created by retailers such as attractive cash rebates. However, tactics such as those are detrimental in the long run as it encourages excessive consumption of electricity or may promote an inaccurate price plan with inconsistent discounts and rebates given. With such tactics, the retailer with the highest market share might not offer the most environmentally friendly or cost-saving plan but are plainly leveraging on their marketing prowess. This goes against the aim of the OEM which serves to provide competitive pricing and innovative offers to all Singaporeans. The OEM plans to leverage on residential and business consumer market to meet Singapore’s solar energy production goals. By tapping into a retailer’s pool of solar-based energy consumer, Singapore hopes to generate a solar photovoltaic power goal of 350MW by 2020. To realise this target, Singapore must deploy large-scale solar panel systems. However, the condition seems unfavourable looking at the island’s land and space constraints. Instead, Singapore can look at the larger picture and lend a hand in building and leading Asia’s renewable energy efforts. Its proven record in efficiently managing utility infrastructure, legal structures and an expertise in urban planning will greatly contribute to this journey. The revamped structure of Singapore’s electricity market looks at a bigger picture beyond just financial benefits to a consumer’s monthly bills. With big goals to achieve – such as creating a sustainable local source of solar energy, and building Asia’s renewable ecosystem – Singapore has a lot on its plate. That being said, its track record of bureaucratic capabilities will certainly be a booster to the region’s bigger effort. Zooming down into consumers and the local market, they have been given avenues to learn about the OEM via heartland roadshows and on the online sphere, local comparison sites and official information portal by the EMA. Therefore, readiness is not an issue for Singaporeans, seeing the various outlets of education they have in regards to the OEM. Geared up to know more? Click the following site to learn about a retailer that powers the change in Singapore’s Open Electricity Market.